How to Make Donuts, Bagels, and Benets (Beignets) - Need a Recipe? I had my first taste of Benets in New Orleans in 1975. But you can make them quickly with refrigerator biscuits, and it settles that craving for them. 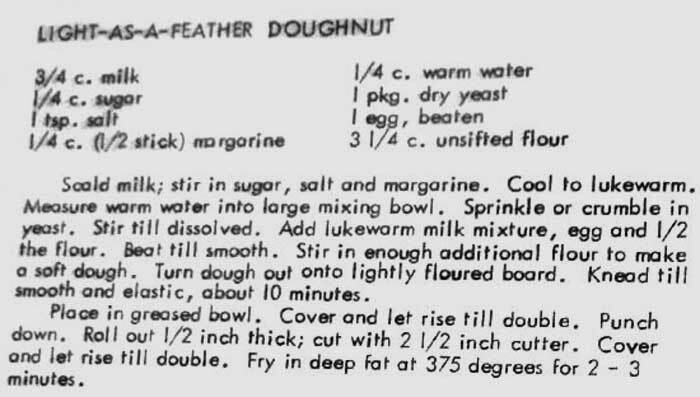 Below are other recipes for donuts too. Cake donuts, Raised donuts, Crullers, and Bismarks. After scalding milk, add butter and sugar. Cool to lukewarm. Crumble yeast and dissolve in mixture, add salt and about half the flour to form a batter. Add egg and beat well, add the remaining flour and beat again. Cover and let rise in a warm place until it doubles in bulk. Knead gently and roll out on well floured board to about 1/4 inch thickness. Cut into rounds, cover again and let rise for about 30 minutes. Cook in deep fat. Drain and sprinkle with powered sugar. Try making them easy with Refrigerator Biscuits. Mix together eggs, sugar, shortening and milk. Sift all the dry ingredients into wet ingredients and mix well. Roll 1/4 inch thick on floured board and cut with donut cutter. Fry in deep fat on medium heat until light brown. Turn only once. Makes 24 donuts. Combine the margarine or butter with the powdered sugar in a medium bowl and blend with an electric mixer. Add the vanilla and hot water. Mix until smooth. When the donuts have cooled, dip each top surface into the glaze and then flip over and cool on a plate until the glaze firms up, about 15 minutes. Cream the butter, and add one-half of sugar. Beat egg until light, add remaining sugar, and combine mixtures. Add three and one-half cups flour, mixed and sifted with baking powder, salt, and spices; then enough more flour to make dough stiff enough to roll. Toss one-third of mixture on floured board, knead slightly, pat, and roll out to one-fourth inch thickness. Shape with a doughnut cutter, fry in deep fat, take up on a skewer, and drain on brown paper. Add trimmings to one-half remaining mixture, roll, shape, and fry as before; repeat. Doughnuts should come quickly to top of fat, brown on one side, then be turned to brown on the other; avoid turning more than once. The fat must be kept at a uniform temperature. If too cold, doughnuts will absorb fat; if too hot, doughnuts will brown before sufficiently risen. Combine shortening, salt and sugar in a large mixing bowl. Add milk and stir until shortening is melted and mixture cooled to lukewarm. Add crumbled yeast and stir until well dispersed. Add eggs. Add 1/2 of flour and stir well. Turn dough on a well floured board and kneed in as much of remaining flour as needed to make a soft smooth dough. Cover and let stand until dough has doubled in size - about 2 hrs. Roll dough 1/2 inch thick and cut with a 2 1/2 inch cutter. Cover and let stand until doughnuts are light and soft. Fry in deep fat on med heat or 360. Makes about 2 1/2 dozen. Dissolve yeast in warm water. Add remaining ingredients. Mix like bread dough. Let rise in a covered, greased bowl. Roll out on floured board. Cut doughnuts out. Let rise another 5 minutes. Fry in hot grease (375 degrees) Flip doughnuts as soon as they float to the top. Fry and turn back on other side. Combine and glaze while warm. Let doughnuts dry on wooden spoon handle. Soak yeast in warm water. Mix milk, sugar, salt, nutmeg, shortening and eggs. Add 1/2 of the flour. Mix with mixer for 2 minutes. Add remaining flour and beat 2 additional minutes. Let set at room temperature for 45 minutes. Stir several times. Drop by spoon into (385 degrees) hot fat. Fry approximately 3 or 4 minutes or until nicely brown. Roll in sugar or powdered sugar. -Scald milk; stir in sugar, salt and margarine. Cool to lukewarm. -Measure warm water into large mixing bowl. Sprinkle or crumble in yeast. Stir till dissolved. 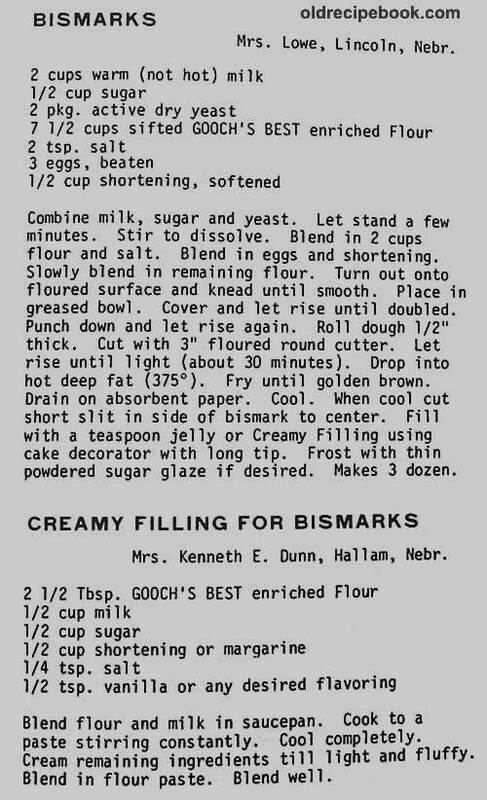 -Add lukewarm milk mixture, egg and 1/2 the flour. Beat till smooth. -Stir in enough additional flour to make a soft dough. -Turn dough out onto lightly floured board. Knead till smooth and elastic, about 10 minutes. Place in greased bowl. Cover and let rise till double. Punch down. Roll out 1/2 inch thick; cut with a 2 1/2 inch cutter. Cover and let rise till double. Fry in deep fat at 375 degrees for 2 - 3 minutes. I have made these several times, but this was before bagels became popular, and so easy to get at Dunkin Donuts. -Mix 1 1/2 cup flour, 3 Tablespoons sugar, 1 Tablespoon salt and yeast. Heat 1 1/2 cup water and margarine to 120 degrees. Add to dry ingredients. Beat 2 minutes at medium speed. Add 1/2 c flour, beat at high speed 2 minutes. Stir in more flour to make a stiff dough. -Knead 8 to 10 minutes. Set in a greased bowl, turn to grease top. Cover, let rise in warm place 1 hour. Punch down and let rest 15 minutes. -In a large skillet heat 1 inch of water over medium low heat to a simmer, add remaining sugar and salt. -Divide dough into 12 pieces, shape pieces into smooth balls. Poke a 1 inch hole in the center with a floured finger. -Drop bagels in simmering water. Cook 3 minutes and turn and cook 2 minutes. Turn again and cook 1 minute. Drain on towels. Repeat shaping and cooking rest of dough. -Place on greased cookie sheet. Mix 1 Tablespoon water with the egg white and brush tops of bagels. Sprinkle with salt, or poppy seeds. -Bake at 375 for 20 - 25 minutes. Cream the butter, add sugar gradually, yolks of eggs well beaten, and whites of eggs beaten stiff. 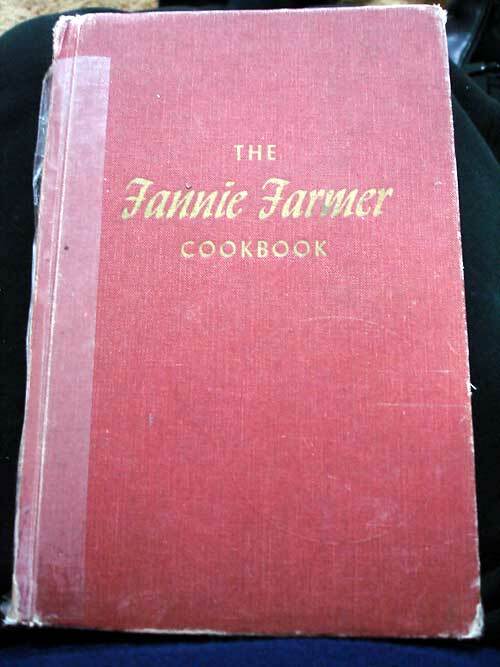 Mix flour, nutmeg, and baking powder; add alternately with milk to first mixture; toss on floured board, roll thin, and cut in pieces three inches long by two inches wide; make four one-inch parallel gashes crosswise at equal intervals. Take up by running finger in and out of gashes, and lower into deep fat. Crullers should come quickly to top of fat, brown on one side, then be turned to brown on the other; avoid turning more than once. The fat must be kept at a uniform temperature. If too cold, doughnuts will absorb fat; if too hot, doughnuts will brown before sufficiently risen. "Some people give and forgive... others get and forget."